Author: Gaston Nanfah. Series edited by: Wilhelm J.G. Möhlig, Bernd Heine. 16 pp. Roman, 271 pp. 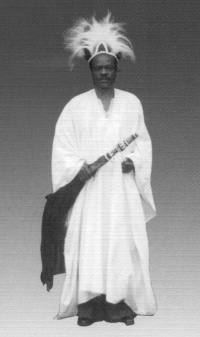 Yémba is a Grassfields Bantu language which belongs to the subgroup of the Bamiléké languages. It is spoken in the Ménoua district surrounding the city of Dschang, West Cameroon. The present work is a detailed research of the 20 variants of Yémba, using different methods and procedures, like the comparative method, lexico-statistics and studies of dialectal metrics. By this, both the lexicon and the phonology of the language are compared. 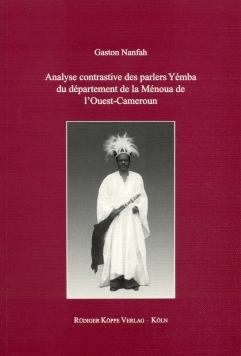 The book – which is based on the PhD thesis of the author – constitutes the first detailed description of the dialectal continuum of the Yémba language, and presents the diversity of the single dialects. In the long term this analysis might represent the basis for the standardization of the respective languages in Cameroon. In this regard, the linguistic capture and evaluation of data should fulfil purposes of language policy.